You’ve likely seen this trend on social media. 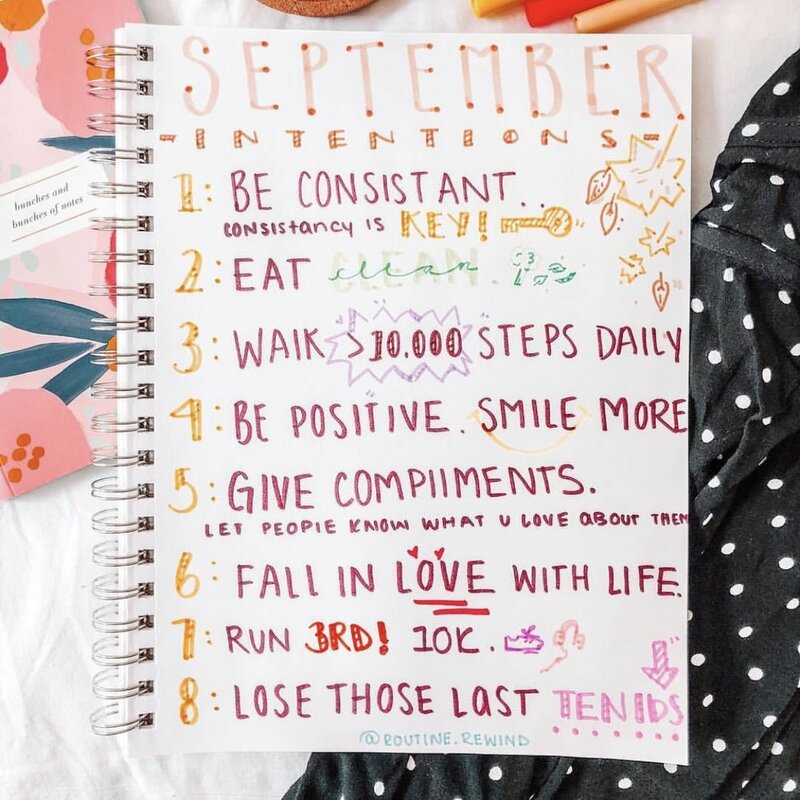 At the start of each month, people post images of their journal page filled with statements of what they ‘intend’ to focus on for the month. 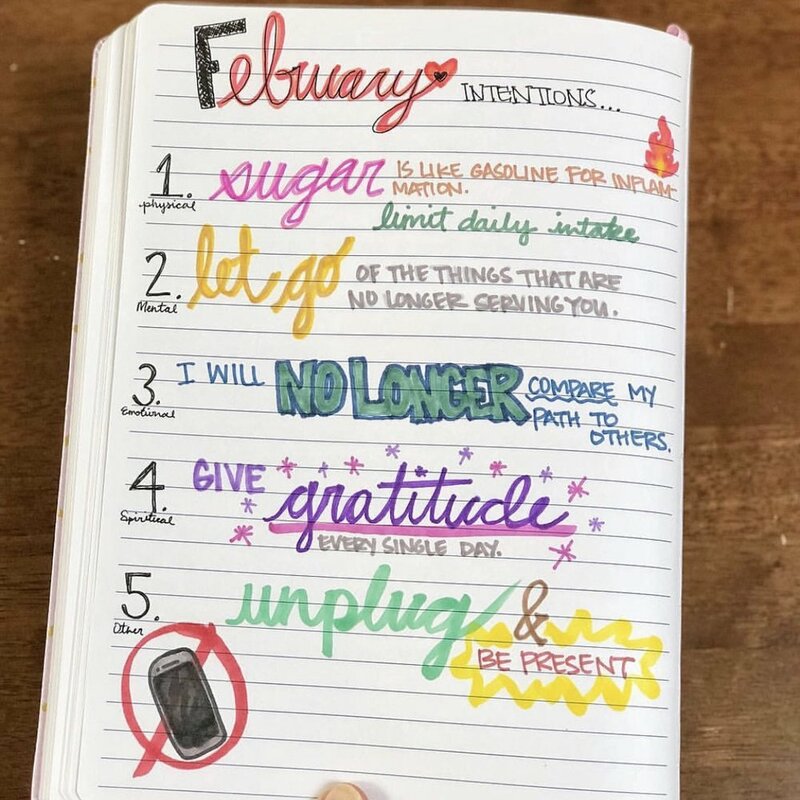 The statements are typically written in loopy gel colored pens accompanied by doodles. It is very reminiscent of middle school notebooks. Now, I love a good colored pen and am not above doodling… it is the actual intention statements that has me bothered. These statements are fluffy, generic and vague. They almost monthly resolutions and you know how well those New Years Resolutions turn out… they don’t. 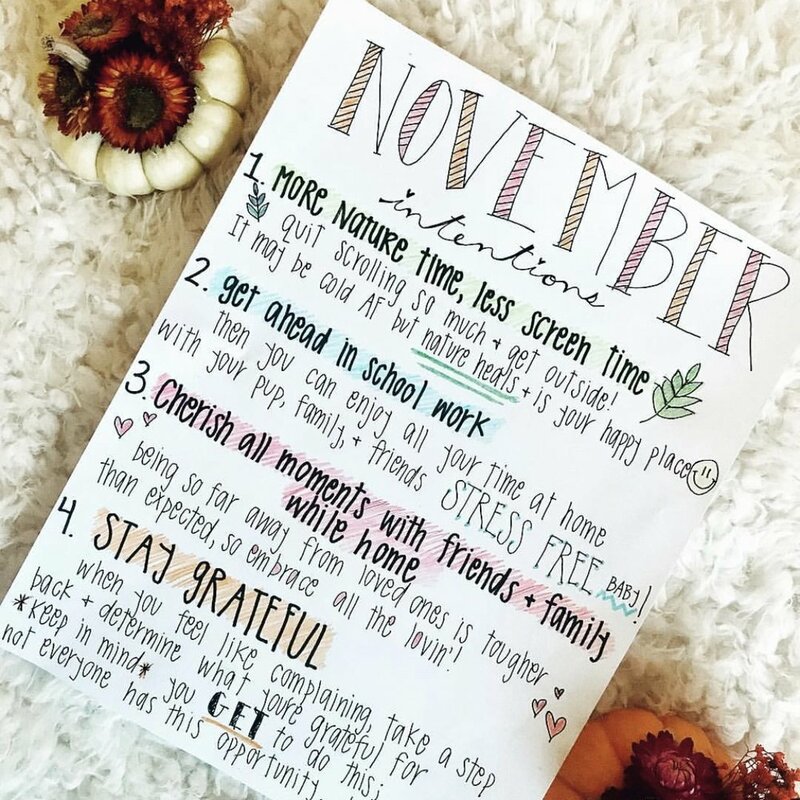 Sure there is nothing wrong with writing down a few items you’d like to be more mindful of during the next month. But that doesn’t mean there’s anything right about it either. When it comes to accomplishing things, you have to go beyond intent and come up with specific, actionable statements. When you attach meaning and direction to things you’d like to achieve, it becomes more purposeful and the path to success is better outlined. Intention: Unplug! More nature, less screen time! Goal: To be more present in my surroundings, I will leave the phone at home and take a 10 minute walk each day without it. Intention: Eek Sugar! Limit Daily Intake! Goal: To start the day with less sugar and more nutrients, I will swap my breakfast PSL for a plain latte with a banana and hardboiled egg. See the difference? Making a clear achievable goal should include not only what you want to do, but why and how. It is complete and straightforward. Ditch the intentions & go with goals.